The 2018 NAB Show is filled with boundless opportunities for knowledge and information gathering. From the show floor, featuring exhibitors from all across the globe, to the unprecedented networking events and parties to the international trade center, this show puts attendees at the center of the “MET Effect,” where media, entertainment and technology come together to showcase the future of broadcast and entertainment. The discussion panels that are taking place at this year’s show provide industry insight and knowledge sharing, providing specific, up to the minute guidance on the broadcast world’s hot creative and engineering topics. 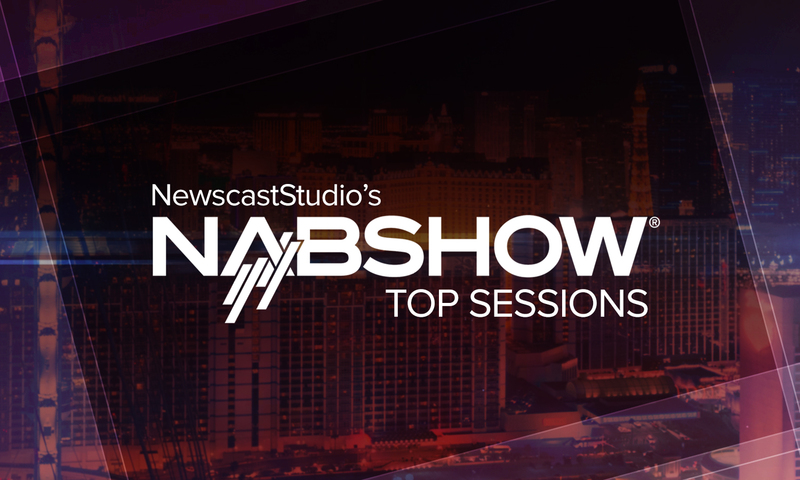 In this edition of our NAB Show Top Sessions series, we look at the top panels, sessions and discussions surrounding live streaming and the future of OTT. Mobile Live Streaming: How’d They Do That? Join Presenter, Chris Perry, as he brings the audience through the process of successful, newsworthy, mobile live streaming. Broadcasters will then be able to utilize this useful form of streaming to add timeliness and relevance to their own network broadcasts. The next generation of video innovation is bringing with it some pretty amazing innovations. Johnathan Hurd is the Moderator for panelists who will be discussing exactly what the future of the video industry is going to look like, sooner rather than later. Some of the teaser-topics include the use of artificial intelligence, live-streaming, mobile, and app development. The list of Panelists includes: Will Law of Akamai, David Mowrey of IBM Watson Media, Matt Nelson of You.i TV, Bart Spriester of Comcast Technology Solutions. In true gameshow fashion, this panel discussion will also serve as a bit of pointed entertainment, for the audience, as well as with the audience. After Moderator, Brian Ring drives the discussion from panelists, Florian Diederichsen, Rebekah Dopp, Erick Opeka, and Colby Smith through a discussion about the shifting tides of the television industry, the panelists, (as well as a few audience members) will get the chance to play the game, TV Biz Quiz. Now that there is such a wide span of different screens, media, and platforms than there ever was before, advertisers are finding it difficult to pin down the right mix of advertising to fit their specific audience. That is why this discussion, led by Moderator, Tim Hanlon, with five panelists; Sean Bunner, Walt Horstman, Farhad Massoudi, Allison Metcalfe, and Jeff Shultz will be presented in three acts; showcasing the evolution of media and how it relates to the world of advertising.